Experienced caregivers recommend that you learn as much as you can about your family member or friend’s illness, medicines, and resources that might be available. Information can help you understand what is going on, anticipate the course of an illness, prevent crises, and assist in healthcare management. It can also make talking with the doctor easier. Make sure at least one family member has written permission to receive medical and financial information. To the extent possible, one family member should handle conversations with all healthcare providers. Try putting all the vital information in one place—perhaps in a notebook or in a shared, secure online document. This includes all the important information about medical care, social services, contact numbers, financial issues, and so on. Make copies for other caregivers, and keep the information up to date. When visiting your loved one, you may feel that there is just too much to do in the time that you have. You can get more done and feel less stressed by talking to your family member or friend ahead of time and finding out what he or she would like to do. Also, check with the primary caregiver, if appropriate, to learn what he or she needs, such as handling some caregiving responsibilities while you are in town. This may help you set clear-cut and realistic goals for the visit. For instance, does your mother need to get some new winter clothes or visit another family member? Could your father use help fixing things around the house? Would you like to talk to your mother’s physician? Decide on the priorities and leave other tasks for another visit. Try to make time to do things unrelated to being a caregiver. Maybe you could find a movie to watch with your relative, or plan a visit with old friends or other family members. Perhaps they would like to attend worship services. Offer to play a game of cards or a board game. Take a drive, or go to the library together. Finding a little bit of time to do something simple and relaxing can help everyone, and it builds more family memories. And keep in mind that your friend or relative is the focus of your trip—try to let outside distractions wait until you are home again. Many families schedule conference calls with doctors, the assisted living facility team, or nursing home staff so several relatives can participate in one conversation and get up-to-date information about a relative’s health and progress. If your family member is in a nursing home, you can request occasional teleconferences with the facility’s staff. Sometimes a social worker is good to talk to for updates as well as for help in making decisions. You might also talk with a family member or friend in the community who can provide a realistic view of what is going on. In some cases, this will be your other parent. Don’t underestimate the value of a phone and email contact list. It is a simple way to keep everyone updated. For one family, having a private phone line installed in their father’s nursing home room allowed him to stay in touch. For another family, giving Grandma a cell phone (and then teaching her how to use it) gave everyone some peace of mind. These simple strategies can be a lifeline. But be prepared—you may find you are inundated with calls or text messages. It’s good to think in advance about a workable approach for coping with numerous calls. Whether you are the primary caregiver or a long-distance caregiver, getting some caregiving training can be helpful. As with a lot of things in life, many of us don’t automatically have a lot of caregiver skills. For example, training can teach you how to safely move someone from a bed to a chair, how to help someone bathe, and how to prevent and treat bed sores, as well as basic first aid. Information about training opportunities is available online. Some local chapters of the American Red Cross might offer courses, as do some nonprofit organizations focused on caregiving. Medicare and Medicaid will sometimes pay for this training. Searching the Internet is a good way to start collecting resources. Check with a local library or senior center, the Area Agency on Aging (www.n4a.org), or the Eldercare Locator (http://www.eldercare.gov/) to find out about sources of help. 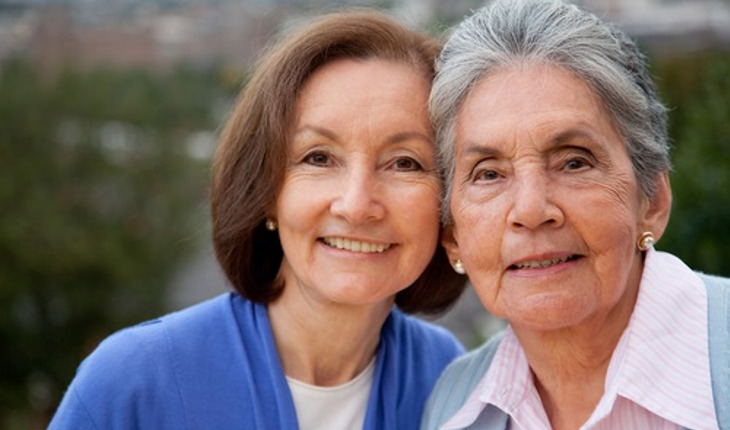 Find more caregiving resources. To read about other health matters covered by the National Institute on Aging, click here.